Your home is under contract and next up is your home inspection. 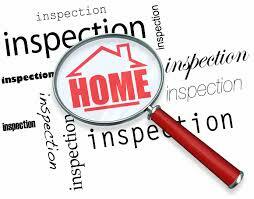 The home inspection is one of the most stressful things about selling your house. Disagreements between buyers and sellers are very common. But there are a few things you can do to prepare to make the transaction go much smoother. Check for burnout light bulbs. This is one easy item that can be taken care of in advance. An        Inspector will treat a burnout light bulb as a potential electrical issue in further need of         evaluation by a licensed electrician. You can avoid a costly service call by simply replacing bulbs  ahead of time to ensure lights work properly. Check air filters. Dirty? Replace them. A home inspector will see a dirty filter as a sign the system is not working properly, and you don't need an AC contractor to come out to your house to tell you to replace your filter. Fill your sinks with water. If they drain slowly pour in some drano and try your best to unclog themWith a little effort on your part you can avoid an unnecessary visit from a plumber. If you can knock out these 3 easy things before the home inspection you'll save yourself time, money and heartache when it comes down to negotiating the repairs.